Is your club short of rugby kit? Does your team need new kit? You could win £3000-worth with Lucozade and RW! IT CAN be frustrating when you go to training, only to find that your club doesn’t have enough rugby kit for a good session. But if this sounds familiar, then you’re not alone, and if you enter this competition you could win some much-needed, brand new kit! 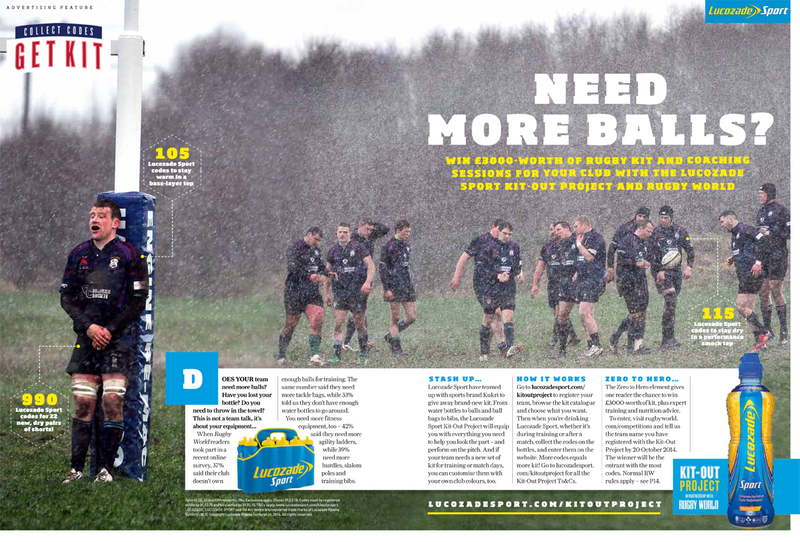 In a recent online survey, 37% of Rugby World readers told us their club doesn’t have enough balls, while a further 37% don’t have enough tackle bags, and 33% don’t have enough water bottles to make your sessions as efficient and productive as can be. You’re also lacking fitness equipment such as slalom poles and hurdles, and over 39% of you don’t have enough training bibs – which are essential for clubs that use A v B games as part of their training. That’s the bad news… the good news is, Lucozade have teamed up with kit makers Kukri to create the Kit-Out Project, and give away free kit! Furthermore, RW has got involved to give one club a little bit extra. Go to lucozadesport.com/kitoutproject to register your team, browse through the kit catalogue, and choose what you want. Then, when you’re drinking Lucozade Sport, collect the codes on the side of the bottles and enter them online. The more codes you collect, the more kit you’ll get! There’s more. We’ve teamed up with Lucozade to add the Zero to Hero element to this competition, which means you could win £3000-worth of kit, plus expert training and nutrition advice! Go to our competitions page, rugbyworld.com/competitions, and tell us the name of the team you’ve registered with the Kit-Out Project. The winner will be the team with the most codes. 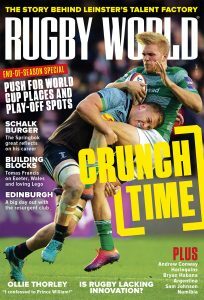 See the new edition of Rugby World, out on Tuesday 7 October, for more details of how to enter the Kit-Out Project and win free kit! See what else is in the current edition of Rugby World here.